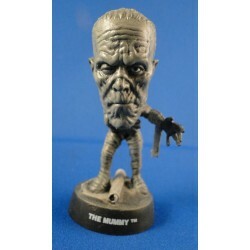 Edison's Frankenstein 1910 Action Figure made by Mezco from Silent Screamers Reel Master. Figure has great detail and is heavy. 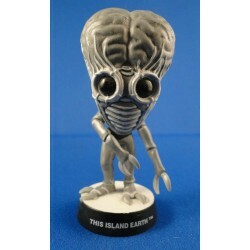 The Island Earth, PVC Figurine ± 9-10 cm, Sideshow Toy 2000, Universal Studios. Figure is part of a collection of Horror Little Big Heads, all are in very nice displayable condition. Please see pictures. 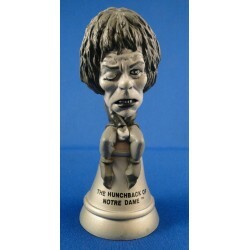 The Hunchback of Notre Dame, PVC Figurine ± 9-10 cm, Sideshow Toy 1998, Universal Studios. Figure is part of a collection of Horror Little Big Heads, all are in very nice displayable condition. Please see pictures. The Mummy, PVC Figurine ± 9-10 cm, Sideshow Toy 1998, Universal Studios. 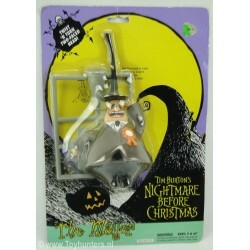 Figure is part of a collection of Horror Little Big Heads, all are in very nice displayable condition. Please see pictures. 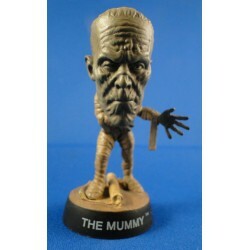 The Mummy, Color PVC Figurine ± 9-10 cm, Sideshow Toy 1998, Universal Studios. Figure is part of a collection of Horror Little Big Heads, all are in very nice displayable condition. Please see pictures. 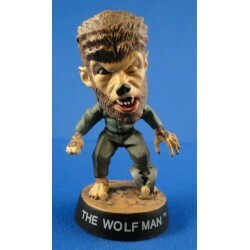 The Wolf Man, Color PVC Figurine ± 9-10 cm, Sideshow Toy 1998, Universal Studios. Figure is part of a collection of Horror Little Big Heads, all are in very nice displayable condition. Please see pictures.